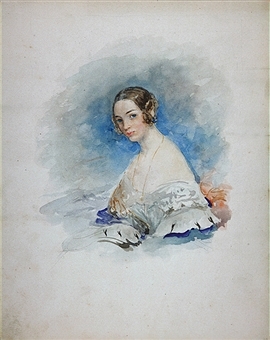 Portrait of Princess Maria Ivanovna Kochubey, née Baryatinskaya (1818-1843), 1846. Found in the collection of State Museum of A.S. Pushkin, Moscow. Artist : Sadovnikov, Vasily Semyonovich (1800-1879).